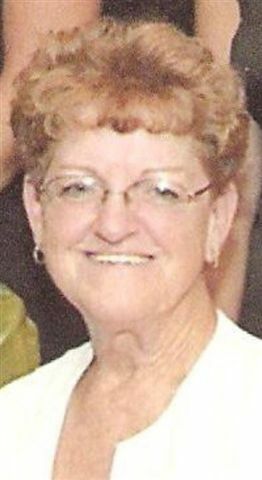 Linda Charlene Gregory Young, age 65 of Hudson, KY died Monday, 4-8-2019 at Twin Lakes Regional Medical Center. She was born in Hudson, KY on November 21, 1953, the daughter of the late Homer and Ilene Keesee Gregory. Linda was a surgical tech who worked for over 46 years in the medical field. She spent many years caring for patients at Breckinridge Memorial Hospital as well as Twin Lakes Regional Medical Center where she retired. Linda loved her family and they loved her. She enjoyed sewing and was a wonderful seamstress. Every family has that one special person who takes care of them and Linda was that person. In addition to her parents, she was preceded in death by her husband Elvis Young and her brother Danny Gregory. Funeral services will be held at Hudson Community Church in Hudson, KY on Thursday, April 11, 2019 at 10 AM under the direction of Trent-Dowell Funeral Home. Burial will be in the McQuady Cemetery. Visitation will be held at the church on Wednesday, 4-8 PM and Thursday after 8:30 AM. Expressions of sympathy are suggested to the Linda Young Memorial Fund in care of the funeral home.